Please update your records. Tether have moved to Primary, a new studio complex in Nottingham. Are all curators failed television presenters? Are all artists failed celebrities? Are all TV-quizzes intrinsically absurd? Is contemporary art a failed joke? 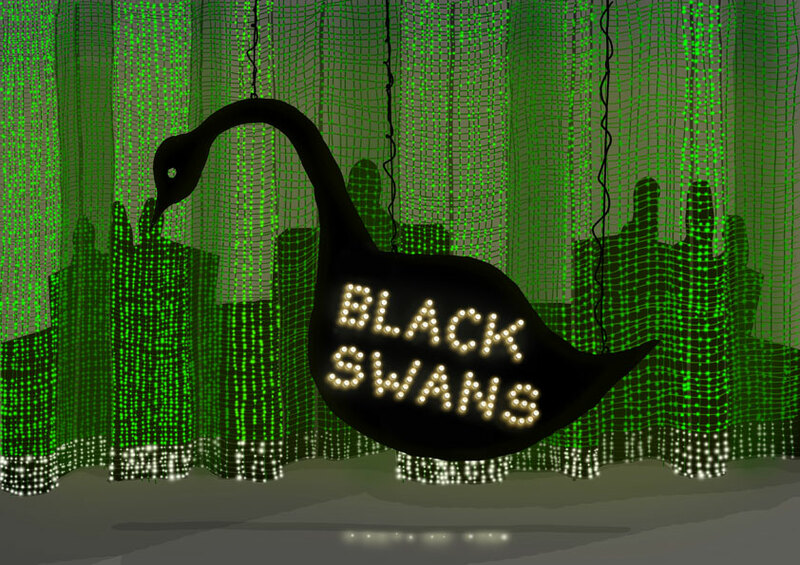 During October, November and December, Tether will be producing and hosting three episodes of Sideshow’s own art-themed game-show, Black Swans, which will quiz invited contestants and engage them in action-based tasks. Taking inspiration from every TV quiz show under the sun, from Blankety Blank to Pat Sharpe’s Fun House through Shooting Stars, Black Swans will be filmed before a live studio audience, hold regular team captains and reoccurring rounds; all designed to deconstruct the game-show format and celebrate the quirks and curiosities of contemporary art. The quiz will also be available in an edited format via Tethervision: a free online “television channel” run by Tether, one week after filming, and indefinitely after that.